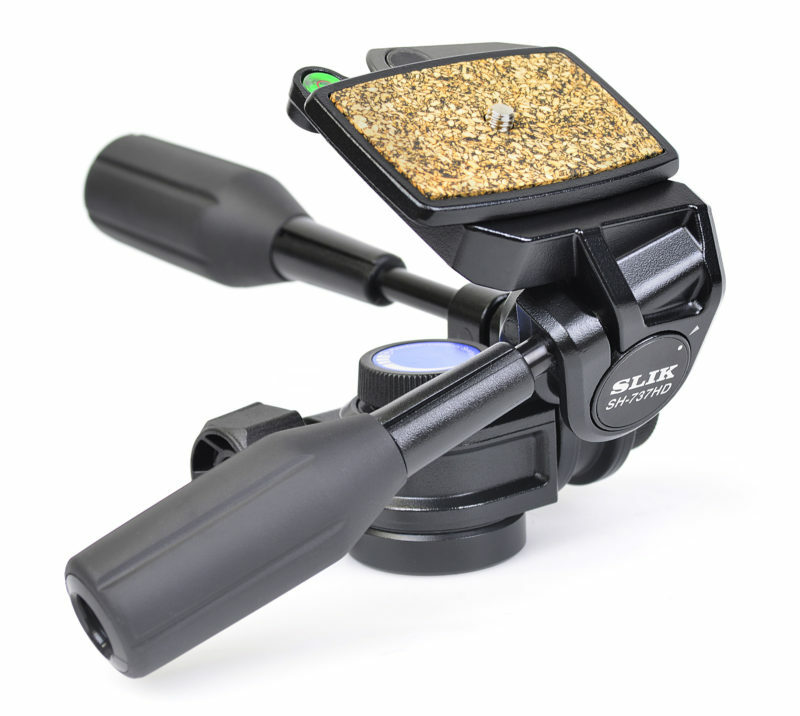 The ABLE 300DX Pan Head is solid, precision-machined aluminum. 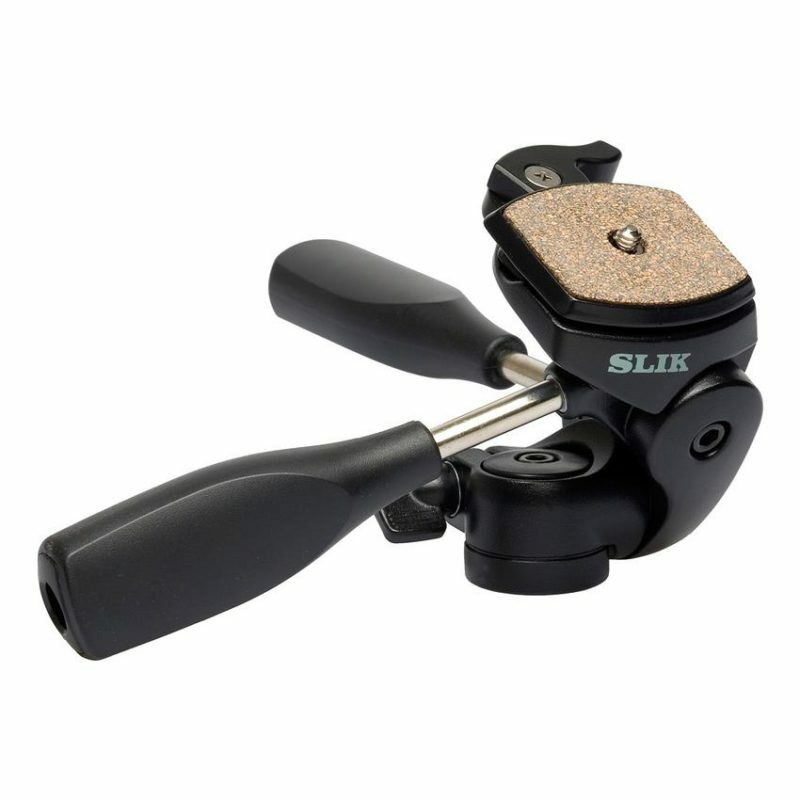 This all-metal head has the strength and durability to handle many DSLRs, mirrorless interchangeable lens cameras (ILCs) and lenses. 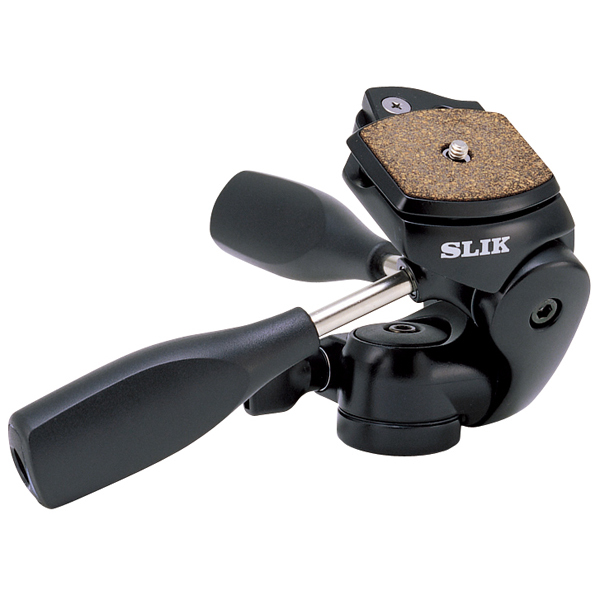 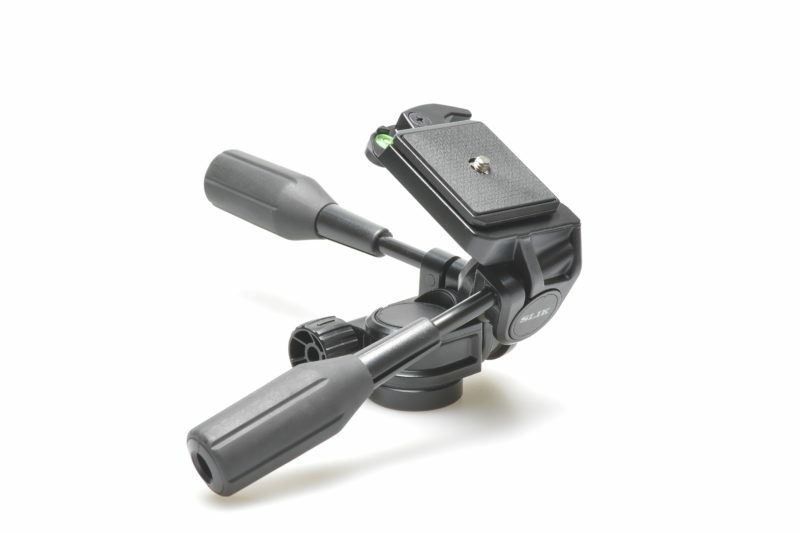 The 3-way panhead features separate locking controls for pan and tilt: a pan lock knob for horizontal (panning) movement, a tilt lever for vertical movement and a lever that controls leveling or flipping the camera 90 degrees for vertical photography. 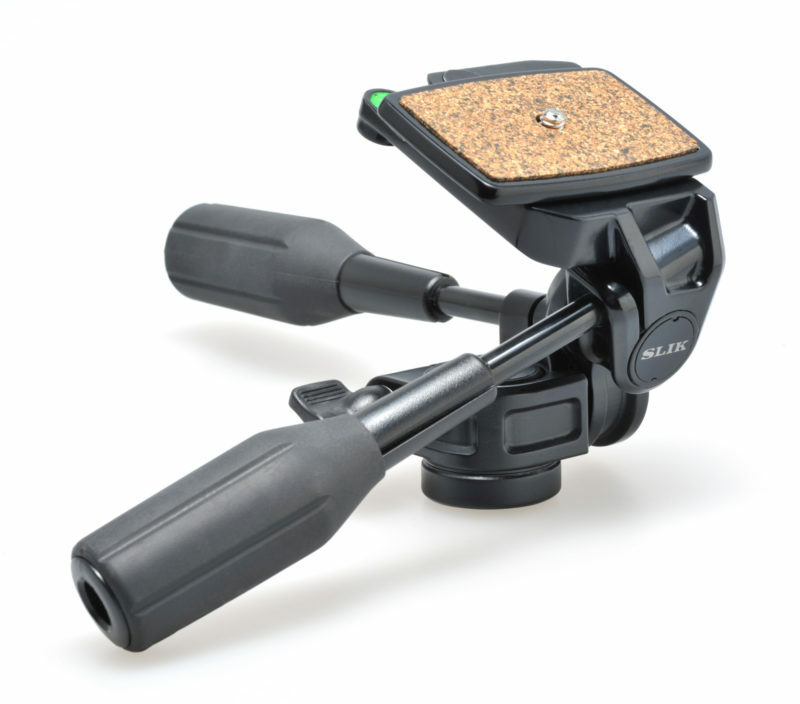 The 3-way pan head also has an all-metal quick release plate that positively locks into the head. 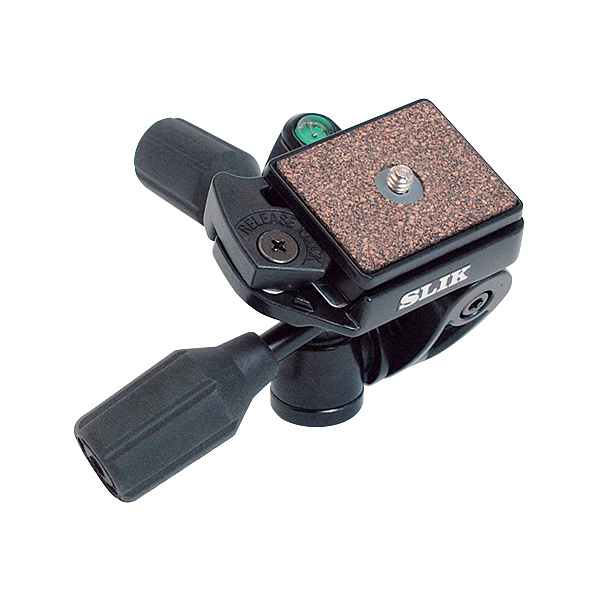 In addition, one lever operation of the quick release lock allows fast mounting and un-mounting of the camera.